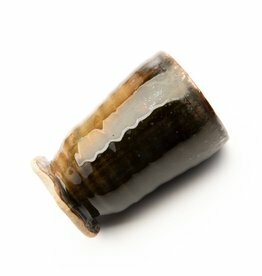 The curve of this cup fits nicely in your hand. 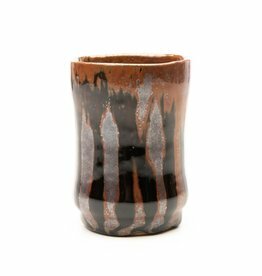 The texture varies subtly from smooth matte to smooth glossy in vertical lines around the exterior. 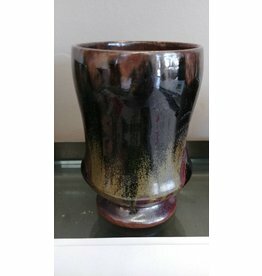 Perfect for warm or cold beverages, holding about 7 ounces. 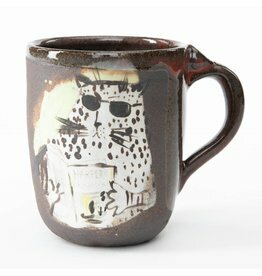 Hand painted mug features a spotted cat wearing sunglasses and reading Harpers.